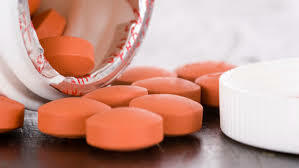 NSAIDs (non-steroidal anti-inflammatory drugs) are pain relievers like acetaminophen, ibuprofen, naproxen, or aspirin. These are usually over-the-counter medicines that help with aches and pains, fever, menstrual cramps, headache, back pain, and other minor symptoms. Pain-killers are prescription pain medications like hydrocodone (Vicodin) that help block pain receptors in your brain. When your body is injured, nerve endings in your body send a message to your brain telling you it hurts. Pain-killers interfere with these messages and allow you to get some relief. Many of the conditions we treat in our office come with very painful symptoms. Whether it’s severe cramping with menstruation or the presence of cysts, many of our patients find themselves dependent on pain relievers to get through their day or have to take stronger medications like Vicodin in order to feel better. We want you to have a good quality of life and will take advantage of the many pain relievers that are available to us, but at the same time, these medications are only band-aids; they cover up the symptoms for a few hours but do not fix the root problem. Addressing the symptoms IS important, but addressing the disease is even more so. Please let us help you find a long-term solution to your pain. Whether it’s the Mirena IUD to help control painful menstrual cycles or a laparoscopic surgery to remove endometrial implants, our staff will be there to help you through the process.